Introducing SKIM, the perfect app for news at a glance! Our new SKIM mobile app gives you instant access to breaking news at a glance on your iPhone and Apple Watch. Get SKIM for FREE as part of any digital subscription for The Age and experience the best coverage of news, your way. Subscribe annually and also receive our new SKIM mobile app, for instant access to breaking news at a glance on your iPhone and Apple Watch. 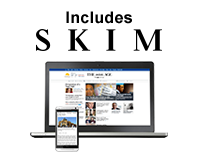 Experience the best coverage of news, your way. It's the gift for those you love, who love to know. You can gift The Age to friends and family. Choose from a range of subscription packages that give unlimited access to quality journalism and popular lifestyle content. * Receive complimentary access to the SKIM app with any gift subscription. If the subscription to The Age is cancelled, access to SKIM will also be cancelled. The Age subscriptions automatically renew monthly unless the subscriber calls 13 66 66 and cancels. Fairfax Media is not responsible for, and to the extent permitted by law, accepts no liability in connection with the provision of the SKIM service to subscribers or in connection with data transfer speeds. The subscriber will be responsible for internet connection, data and obtaining a supporting Apple device to access SKIM and for all other costs associated with internet and mobile usage in accessing and using SKIM. For full subscription conditions for The Age please see www.theage.com.au/conditions. Want to compare our digital subscription packages? Have you received a subscription? Gift subscriptions are a way for you to give the gift of The Age. There 3, 6 and 12 month gift subscriptions to choose from, and your one-time payment covers the full subscription period. If gift recipients choose to extend access beyond the gift subscription period, they will enter their own billing information and pay for continued service. Can I purchase a gift subscription for myself? Yes, you can purchase a gift subscription for yourself. Please note, this offer is only available for new subscribers and is not eligible for existing subscribers. Can I purchase a gift subscription for someone who is already a subscriber to The Age? No. You can only give a gift subscription to a new digital subscriber. If the intended recipient is an existing digital or home delivery subscriber, they won't be able to redeem the gift. How is the gift subscription delivered? You will be required to supply a recipient e-mail address and delivery date during the purchase. An email containing a redemption code is sent to the recipient e-mail address you provide on the date you specify. You will also have the option to include a short message that will be in the redemption e-mail. If you choose to have the gift delivered immediately, your gift will be sent as soon as processing is complete. Processing of a gift subscription purchase normally takes 24 hours and may take up to 72 hours. Please note, if your subscription has newspaper home delivery this may take up to 10 days to commence. Yes. After completing a gift purchase, press the Buy Another Gift button. Please note, a single email cannot redeem multiple gift subscriptions. What are the terms of sale for gift subscriptions? The full purchase price for gift subscriptions will be charged at the time of purchase and is non-refundable. You can read our full terms and conditions for gift subscriptions. Redemption codes are not replaceable and will expire if not redeemed within 3 months of the purchase date. SKIM is your perfect companion to get news at a glance. Get instant access to breaking news on your iPhone and Apple Watch. Get SKIM for free as part of any digital subscription package. Skim is supported for access on iPhone and Apple Watch. What is a digital subscription? 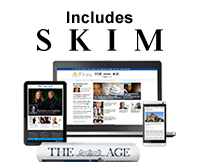 A digital subscription gives you unlimited access to the The Age across web, tablet and mobile. As a digital subscriber, you'll get access to quality journalism and popular lifestyle content plus exclusive offers and rewards to enhance your experience. Choose the package that's best for you. You can choose to change or cancel at anytime. 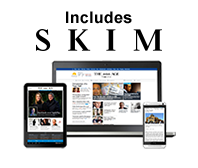 Digital subscriptions are available for desktop, laptops, tablet devices and Smartphones. For our tablet apps, you can purchase a subscription either as part of a value package on our website, or as a stand-alone via the App Store for iPad and Google Play for android. What if I already get a newspaper home delivered? If you get The Age and/or The Sunday Age home delivered at least two days a week, your subscription includes full digital access at no extra cost. You can activate your free access. To find out more about the advantages of corporate subscriptions or to request a quote, click here. How are the digital subscriptions billed? Your digital subscription will be direct-debited monthly from your nominated credit card. Your billing day each month will be the same day you started your subscription with us to your nominated credit card. All our digital subscription packages require payment by Direct Debit. You can choose to make payments using any Visa, MasterCard, American Express or your nominated PayPal account. Payments will be direct debited from your nominated account, in advance, each month. Can I still read articles if I do not subscribe? Yes. Visitors are most welcome. You can enjoy 30 free articles each month on our website. You can also visit the homepage as often as you wish and view as many photo galleries and videos as you like without those articles counting in your free article allocation. If you are browsing The Age or The Sydney Morning Herald for iPad app or our Android app, you can swipe your way through our Front Page, Editor's Choice, News, Daily Life, Video and Photo sections. For all other sections you will need to purchase a digital subscription. 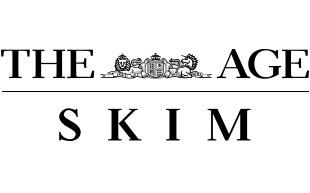 * Offer is a 50% discount on Web Access, All Digital and All Digital + Weekend packages, or 20% discount on All Digital Access + 7 Day, off the regular subscription rates for the first 3 months, billed monthly. Annual subscriptions are charged at the displayed price and initial discounts do not apply. Plus, you'll also receive complimentary access to the SKIM app. If the subscription to The Age is cancelled, access to SKIM will also be cancelled. The Age subscriptions automatically renew monthly or annually unless the subscriber calls 13 66 66 and cancels. Fairfax Media is not responsible for, and to the extent permitted by law, accepts no liability in connection with the provision of the SKIM service to subscribers or in connection with data transfer speeds. The subscriber will be responsible for internet connection, data and obtaining a supporting Apple device to access SKIM and for all other costs associated with internet and mobile usage in accessing and using SKIM. For full subscription conditions for The Age please see www.theage.com.au/conditions.